Unfortunately, there are many men who suffer from depression. It might not be something that you want to admit if you are suffering from it yourself. However, the sooner that you recognize the signs and admit that you are depressed, the sooner you can get help. You should know this because help is out there in many forms. There are counselors, meditation sessions, all-natural medication treatments and more. One of the best all-natural medication treatments you might want to try is Relax (Holy Basil). While these supplements are more geared towards relieving anxiety, that is often part of depression, so they could help you as well. What are the signs of depression that you might be experiencing? These are the most common signs of depression that you might be experiencing. If you recognize any of these signs in yourself, choose to get help. What are the first steps to getting help? This is just a short list of where you can begin in overcoming signs of depression. Depression can be tough for anyone. 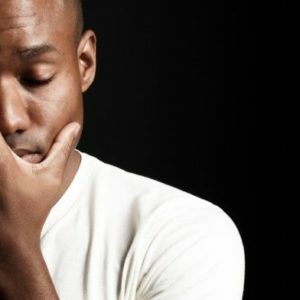 Just because you are a man, doesn’t mean you have to be ashamed because you are feeling depressed. This is something you can overcome just like anything else and help is out there. The first things you need to do is stop and recognize the signs of depression. Once you have done that, you can take the steps needed to get help. It is quite easy to get help and you can do it starting today! Next ArticleFertility Foods: Yes, There are Such Things!